Hello all. I have been in apiary previously (2012) but then left due to other factors in life. BUt i got back to it in august and going thru the training. I just had a suggestion for the apiary guys that may be helpful. So i was thinking that as we are going thru each step of the training wouldnt it be awesome if there was a link to a video or training that would help us understand the task at hand and maybe the best strategies to use to accomplish the task. it could be a video or a transcript or both. I feel like I am a visual learner but I also know some are better thru reading. etc. 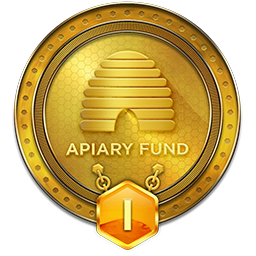 This will enable us to understand the task, practice a strategy which is being used by professionals and have been known to be successful, and at the same time apiary gets to train us to be successful thru these methods of alternative trainings. I understand they already have these methods in the library section but it is all in one place so a new person wouldnt understand what to watch first or last. it would be awesome to have it linked to the steps in the beeline, systematically and only what is relevant to the level (copper,bronze,silver,gold) and specific step. would love to hear from others what they think.